Fandango is probably one of the best apps out there for checking movie times What's the Best Movie Showtimes App for Android? What's the Best Movie Showtimes App for Android? If you want to look up movie showtimes on your Android phone or tablet, you'll want one of these apps. Read More and buying tickets. 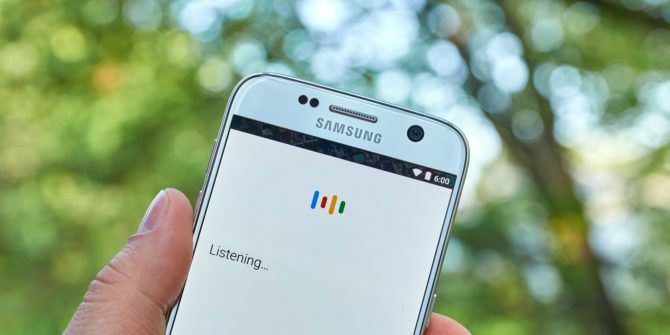 And now thanks to a new Google Assistant feature, it’s easier than ever to purchase tickets, using almost nothing more than your voice. Google Assistant will display showtimes at nearby movie theaters. Say “Buy tickets for [time and movie theater]” or just tap on the selection in the app. Google will ask you to confirm to buy tickets. You can say how many tickets you want or tap from the available selections: 1 adult, 2 adults, 1 adult and 1 child. Google will offer up an order summary, including their cost. Either say or tap “Place order” and then you’ll need to scan your fingerprint to confirm the purchase. Before step 4, Google will prompt you if you have something else on your calendar scheduled for the same time, and will also prompt you if the theater you’ve selected has reserved seating. If you start the process on Google Home, you’ll still have to complete the purchase on your phone. The feature is rolling out to Android users, but if it hasn’t hit your phone yet, you can still go through the process up until step 3. At that point, Google Assistant will recommend places you can purchase the tickets: Fandango (if you have the app installed, it will open up), MovieTickets.com, Atom Tickets, and the theater’s website itself. And if you don’t feel like going out to watch a movie, don’t forget that Fandango is also one of plenty of streaming services The 15 Best Sites to Watch TV on Your Computer Over the Internet The 15 Best Sites to Watch TV on Your Computer Over the Internet Thanks to streaming, there are now more ways to watch TV online. Here are the best sites to watch TV on your computer. Read More for watching movies and TV shows from the comfort of your home.